Disclosure: No compensation was provided for this post. A product was provided. A wish-come-true empowers children with life-threatening medical conditions to fight harder against their illness. 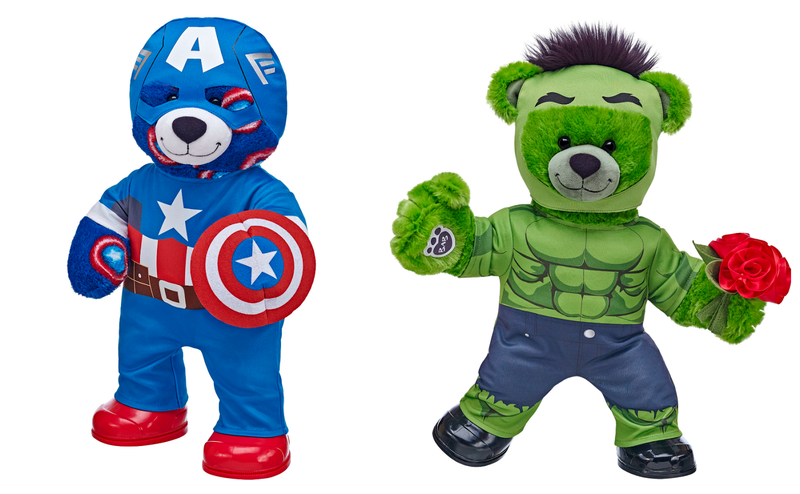 You can help Build-A-Bear make more life-changing wishes possible! 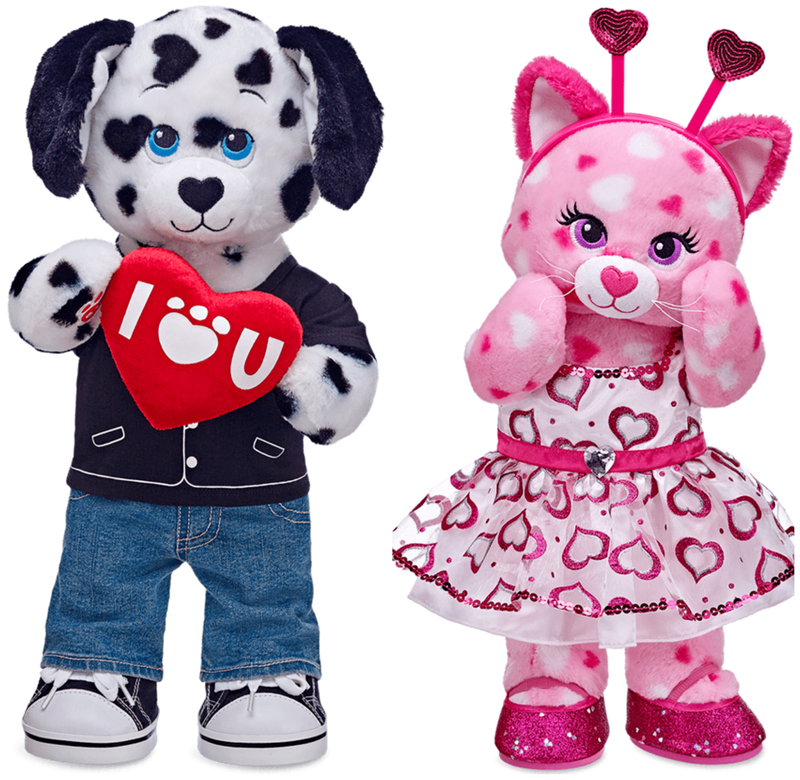 Stuffed animals are a classic Valentine’s Day gift that can be made even more special at Build-A-Bear Workshop. These furry friends can be customized by adding a heart filled with wishes and a special message you record ($8) to play every time you give them a bear hug. A wide selection of unique fashions and accessories are also available to help personalize gifts to celebrate this day of love and friendship. 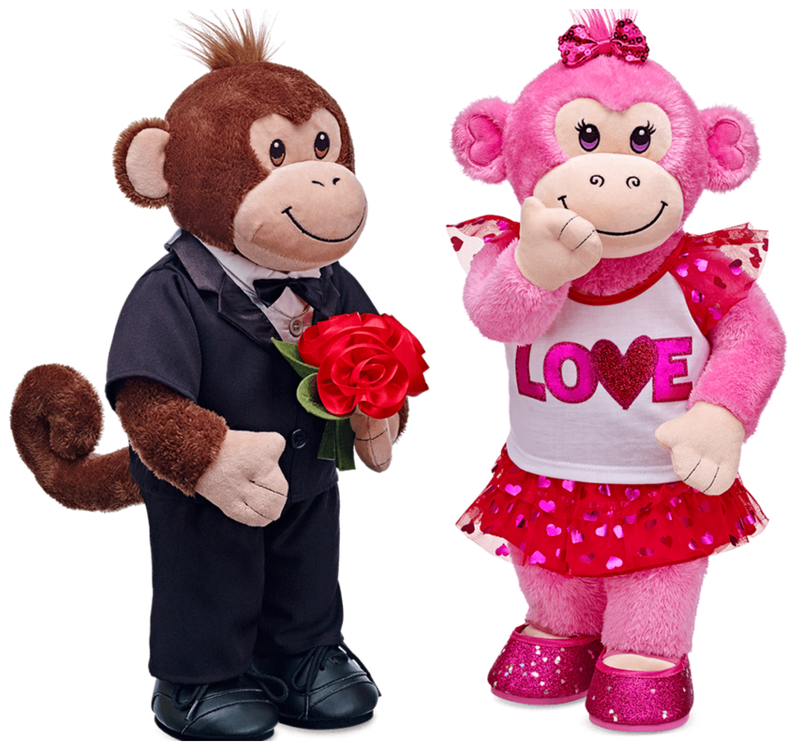 Bananas Monkey ($20) is dapper in his Tuxedo ($13.50) and Black Dress Shoes ($7.50) as he presents a romantic Red Rose Bouquet ($6) to his Valentine. Strawberry Monkey ($20) looks lovely in her Heart Skirt Outfit ($12.50), Fuchsia Sequin Bow ($3 for a 2 pack), and Fuchsia Sparkle Flats ($7.50). Add a Strawberry Scent ($3.50) to Strawberry Monkey to make her extra sweet. Huggable Hearts Puppy ($20) is cool in his Tuxedo Tee ($7), Classic Jeans ($5), I Heart You Pillow ($4.50) and Black Canvas High-Tops ($8). Huggable Hearts Kitty ($20) looks “purrfect” in her Red and Silver Hearts Dress ($12.50), Heart Antenna Headband ($4.00) and Fuchsia Sequin Heels ($7.50). 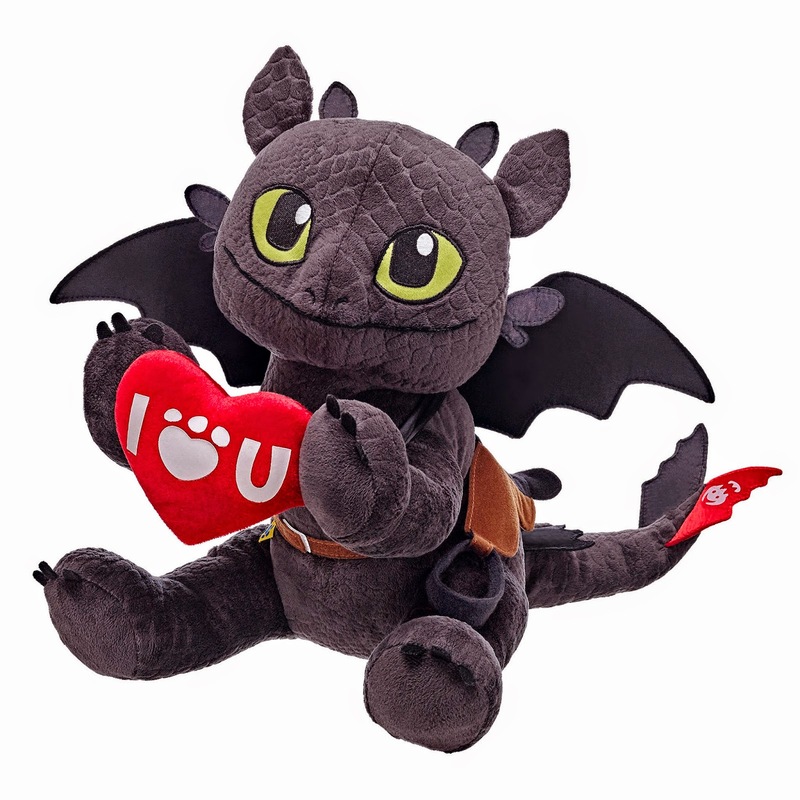 Add a heartbeat to these furry friends so your sweetheart can feel the love. Camo Bear ($20) is sporting his Hugs Hoodie ($7.50), Black Carptener Jeans ($7) and Black Canvas High-Tops ($8). Pink Camo Bear ($20) is pretty in pink in her Fuchsia Heart Tee ($7), Denim Bling Skirt ($7) and Silver Sequin Flats ($7.50). 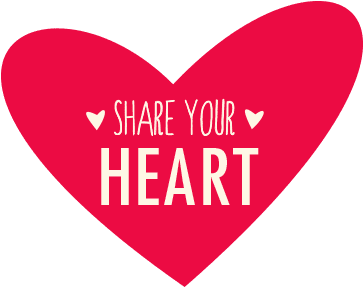 Share a little something with everyone you love! 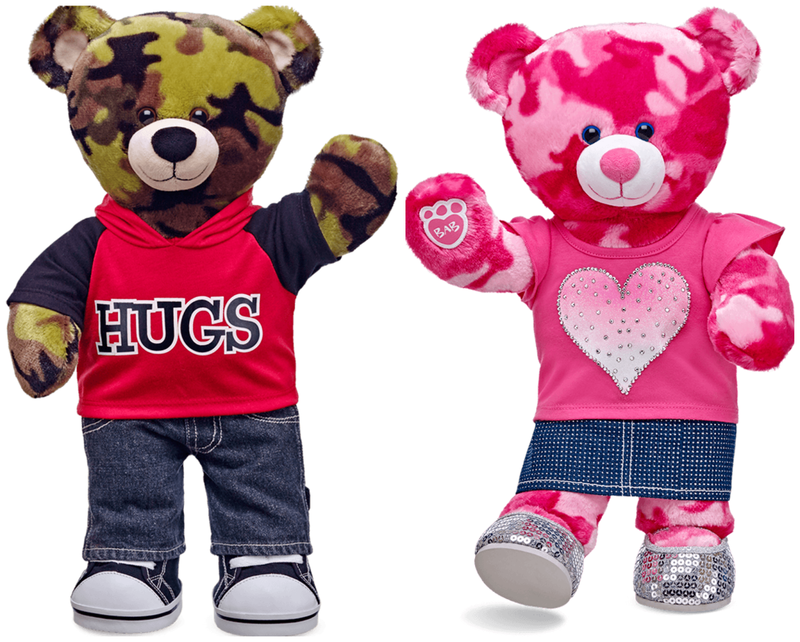 Build-A-Bear Buddies™ are small-sized, pre-stuffed furry friends that make the perfect valentine. Add a holiday inspired outfit or personalize your buddy with a “Chat-Tees™” message. Huggable Hearts Bear ($10) is wearing her Sparkle Dress ($7), Hearts & Hugs Bear ($10) is wearing her Valentine’s Day Chat-Tee ($4), and Pink Pal Panda ($10) is wearing her Hearts Fairy Dress ($7). You can share your heart by giving any of these stuffed animals to your loved ones or create unforgettable memories by enjoying the Build-A-Bear Workshop experience together. Give the gift of FUN with Bear Buck$® gift cards. 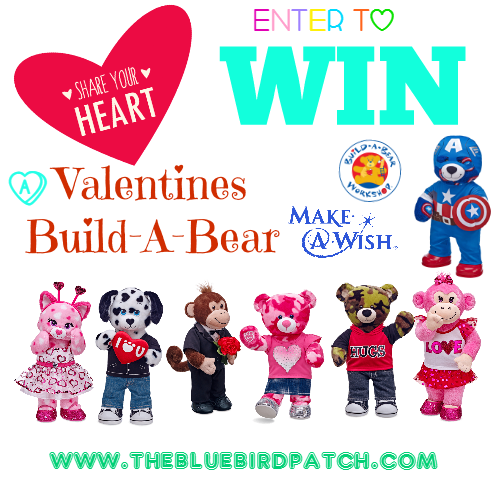 GIVEAWAY: One lucky reader will win one of the Valentine's Day friends shown on this post. To enter just leave us a comment below. This giveaway will close February 20!